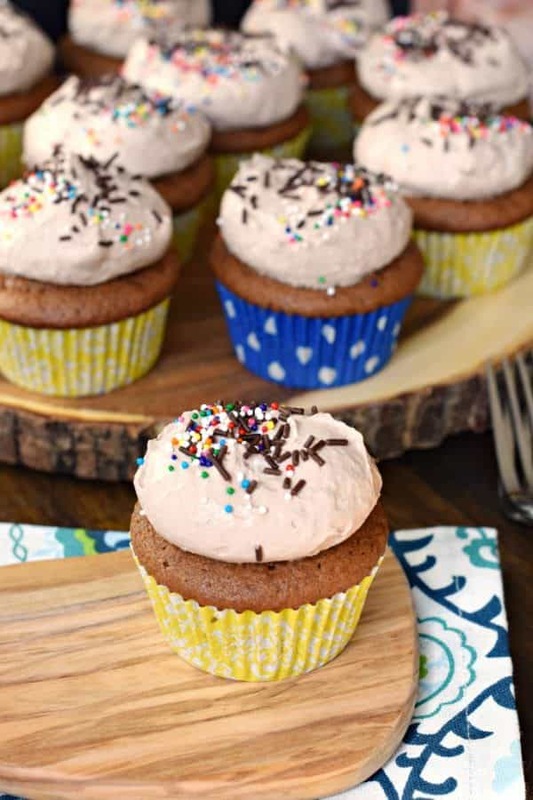 Moist and delicious, these Chocolate Pudding Cupcakes are the perfect dessert! Do you ever look in your pantry and wonder where all the boxes of cake mix come from? 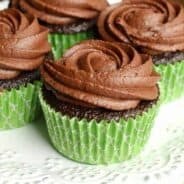 I typically make my cakes and cupcakes from scratch, but it seems I must like a good sale, because I have no less than 10 boxes of cake mix in my pantry at any given time! 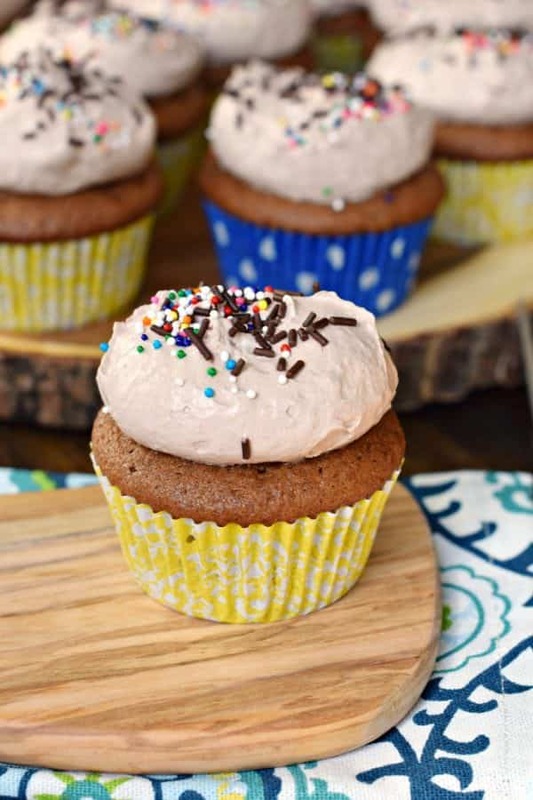 Granted, cake mixes can be doctored up to create incredible recipes, including today’s cupcakes! Personally, I find most cake mixes to be quite dry. So adding ingredients to create a more moist cake is beneficial. Today’s secret ingredient is chocolate pudding mix! Not only do I add it to the cupcake, but the frosting is created using pudding as well. If you’re thinking, “gosh this seems familiar”, it’s because I made these Watergate cupcakes and these Banana Pudding Cupcakes in the past. And I’m addicted. 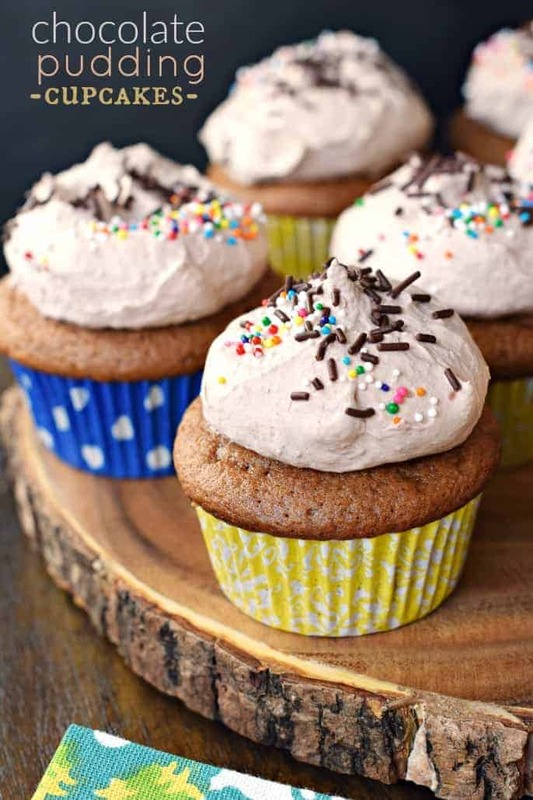 I love the pillowy mound of whipped pudding frosting on top of each of these. Such a “light” texture instead of frosting (don’t get me wrong, I LOVE FROSTING). But these are just….different. Because of the pudding, these cupcakes need to be chilled. The cold cupcake is a refreshing treat at the end of a long day. Perfect if you just enjoyed a hearty meal like this Barbacoa or this Shredded Balsamic Beef recipe. And think of the flavor possibilities!?! I know I’ve got more ideas to share soon! For the frosting, combine pudding mix with milk. Whisk until blended. Fol in thawed whipped topping. 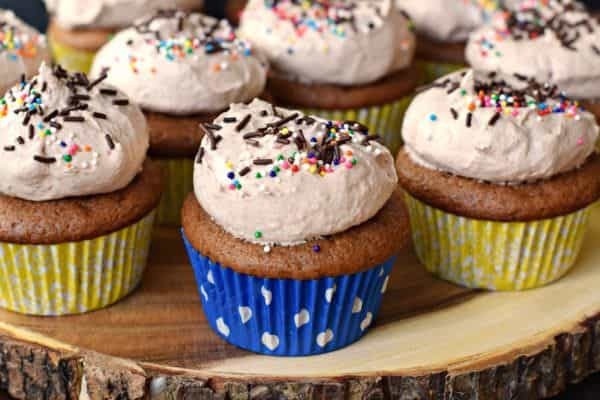 Refrigerate for about 15 minutes, while cupcakes are baking and cooling. 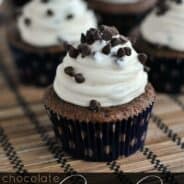 Using a cookie scoop, dollop the frosting onto the cooled cupcake and add sprinkles for garnish. Store in refrigerator for up to 3 days, ENJOY! 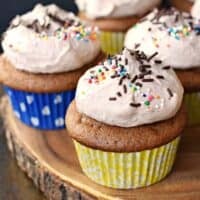 I just love the texture that a pudding mix gives cupcakes and cakes! And that pillowy mound of frosting is divine! Sounds sooooo good. Can’t wait to try them. 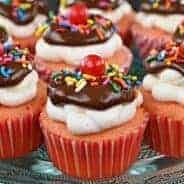 They look and so goodand easy,love recipes that are easy and good, I’ve made cookies with cake mix, love that there so easy and everyone just loves them can’t believe there a cake mix,so I will be making this very soon,have to finish the cookies first!!! Thank you for sharing your recipes with us,look forward to more this year too make!!! If I make this as a full cake what temperature & how Long? If I make this as a full cake what temperature & how Long? Would you mind reposting the information. Love the chocolate pudding in the frosting! These look so good! It just doesn’t get better! These sound like just what I need in my life! This recipe is SO awesome I have made them several times! I am wondering though if it could be done as a white cake mix with vanilla pudding or even a flavored pudding?